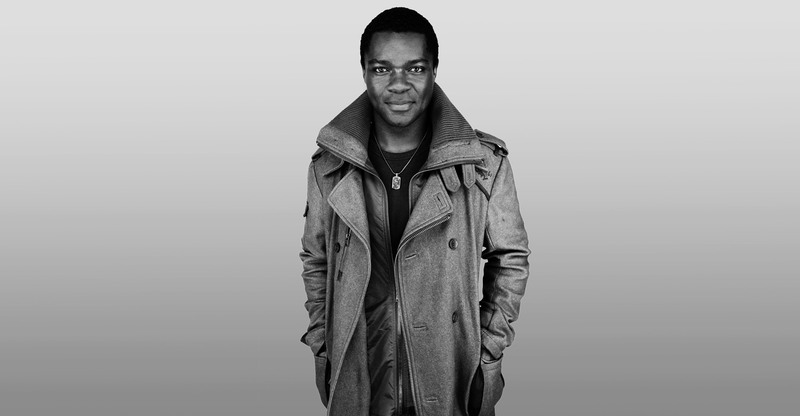 Mr. Oyelowo, how do you approach playing a historical character? It’s a very tricky thing because of course you have to be evocative of who they were, how they moved, how they spoke. You have to make people relax and say, “Okay, he feels like him enough that I can just go on this journey with this character.” But if it becomes an imitation, if it’s about mimicry, if all people were saying is, “Oh, yeah, he really got the voice,” you’re dead! That’s the worst compliment you can pay. Because when you go to see a movie, there is a spiritual exchange between the audience and what you’re watching. There is something metaphysical going on, where through the eyes, through what that person is exuding, you go, “I understand who they are. I have a sense of what they’re feeling when they’re not even talking.” There is an embodiment that is total so that you forget all of that. People shouldn’t be looking at the mechanics of what you did. What should they be looking at? How you did it emotionally. I believe that we go to the movies to see ourselves. “How would I react?” If all you’re seeing is a superhuman human being who had answers for everything, then you’re just watching in awe and it’s just like, “Okay, wow, he’s him and I’m me.” So I think it’s important that we can see ourselves on screen and I think that also means that we’re looking for the greatness in ourselves. Is it important for your work to inspire people to be better? It is important to me! I want to do films that hopefully inspire people to be the best version of themselves. If you look at the films I do, all of them, in some way… the remit I set myself is, “How does this enrich people’s lives?” You know, what’s meaningful? I want films that, when my kids see them, they understand why daddy did those films. They understand how it correlates with the way I’m trying to raise them. Did you gain that perspective when you became a father? Being a father teaches you very quickly that you are not the center of your own universe. That’s one of the gifts of having to wipe poop! (Laughs) Other people’s poop… Four times, with four children! I’ll be on a plane tomorrow back to my kids, lock my door, and it’ll all be about poop again! (Laughs) That’s the life I lead. I’m sure that makes it easier to focus on the important things in life. The fact of the matter is that every actor’s career has highs and lows. When success as an actor comes early, it’s very easy to believe the hype. But to me, it’s about how consistently you do the work – whether it’s celebrated or it’s not. I’ve been in movies with huge movie stars who have been crucified when there are failures and who have been adulated when there are successes. In the last few years you’ve been in The Help, Lincoln, The Butler, and most recently you portrayed Martin Luther King, Jr. in Selma. Why is it so important for you to make films about African-American history? We need those films. Up until recently, films that deal with civil rights and racial unrest have mostly been told through white characters, through white protagonists. Malcolm X is probably the only film I can think of where you have an indisputable black American leader as the focus of the film. What you’ve tended to have is Mississippi Burning or you have Glory or you have these films that are all through white protagonists. Great films - but a different point of view. You can’t have a film about Dr. King and it be all about Lyndon Johnson in my opinion. Why do you think there are so many films about African Americans coming out of Hollywood lately? I think it’s synonymous with Barack Obama’s presidency. I think having a black president means that for a lot of white people there is an opportunity to not just focus on what’s negative about the past, but we have clear indications of progress, so it becomes easier to go: “How did we get here, historically? How have we got to the point where we have a black president?” All these films, they were just not getting made before his presidency. I actually saw President Obama about two weeks ago when we took Selma to the White House, and I thanked him for my career. He went, “Ah, I don’t know about that.” But I told him, “Trust me. I can track when these films came my way!” I can chart it because it’s synonymous with when I moved to L.A. I’ve been in five of those movies! So I think that’s what it is. And last year 12 Years a Slave even won the Oscar for Best Picture. But a film about a slave is different than a film about a leader. Black people have been celebrated as slaves and butlers… The very first black person to win an Oscar was for playing a maid in Gone With The Wind, Hattie McDaniel. So, you know, that’s not an issue. We’ve been celebrated as subservient people forever. Great! Fabulous! As leaders? No, not so much. Barely ever. To quote Dr. King, do you believe that the arc of the moral universe bends towards justice in the end? I think it does – if love is where you’re operating from. I think if you have anger and bitterness in your heart, and you just decide to lash out against it, all you do is you feed prejudice because prejudice exists on the basis that you are lesser than. If you prove that you are lesser than, you are only going to perpetuate that myth. I think there is a reason why the phrase is moral because to be moral is to absolutely embrace the fact that there is a right and there is a wrong. So the only way it bends towards justice is to be part of the solution as opposed to being part of the problem.